Before we talk about the attractions and places to visit in Medan, let's cover the basics and background about this city. Medan is the capital city of Indonesia’s North Sumatra Province. It is Indonesia’s fourth biggest city, after Jakarta, Surabaya, and Bandung. In terms of population, it’s the largest city outside of Java Island with more than 2 million residents. 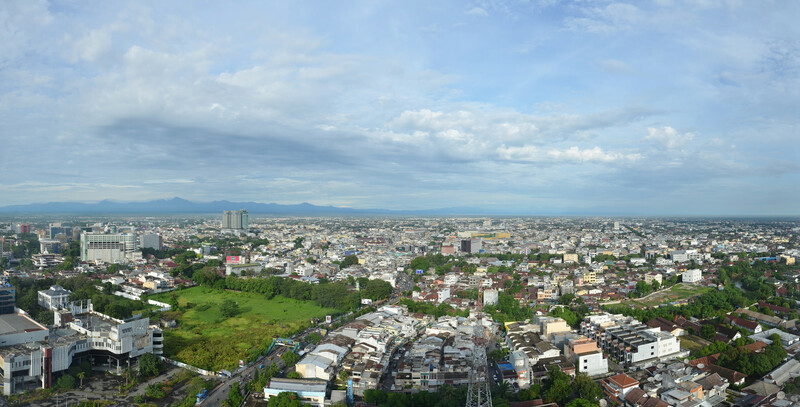 Geographically, Medan is one of Indonesia’s closest cities to both Malaysia and Singapore. Due to its proximity, the largest number of international visitors into North Sumatra, and Medan in particular, are from Malaysia and Singapore. The two main entry points to Medan are Belawan harbour and Kuala Namu International Airport. Almost all international tourists arrive in Sumatra through Medan's Kuala Namu International Airport, which is the second largest airport in Indonesia. The Maimoon Palace is one of the top places to visit in Medan city. Completed in 1898, this 120-year old palace sits on more than 2,700 sqm piece of land. Referred to locally as Istana Maimun, today it’s run as a museum and only the main throne room is open for public. It has a mix of Malay, Islamic, and Indian architectural style. It also has touches of Spanish and Italian style to its furniture and fittings. Also known as Masjid Raya Al Mashun, this iconic mosque was built more than 100 years ago. Its uniqueness lies in its fusion of Middle Eastern, Indian, and Spanish architectural style. It has a capacity to house up to 2000 devotees. Take note to wear appropriate & respectful attire to enter the compound. Outfits are not supposed to reveal the legs and hair needs to be covered. This Great Mosque is definitely one of the top places to visit in Medan city centre. Referred as Our Lady of Good Health Church or Our Lady of Velangkanni, this sacred building was opened in 2005. At first glance, many would mistake it for a Hindu temple. However, it’s actually a very unique Catholic church. It consists of two main storeys and a smaller building of seven storeys. This unique architecture is one of the best places to visit in Medan, especially if you are after some wonderful Instagram pictures. Built in 1884 by young Tamil Doctors, this special temple was built to worship the Goddess Mariamman. 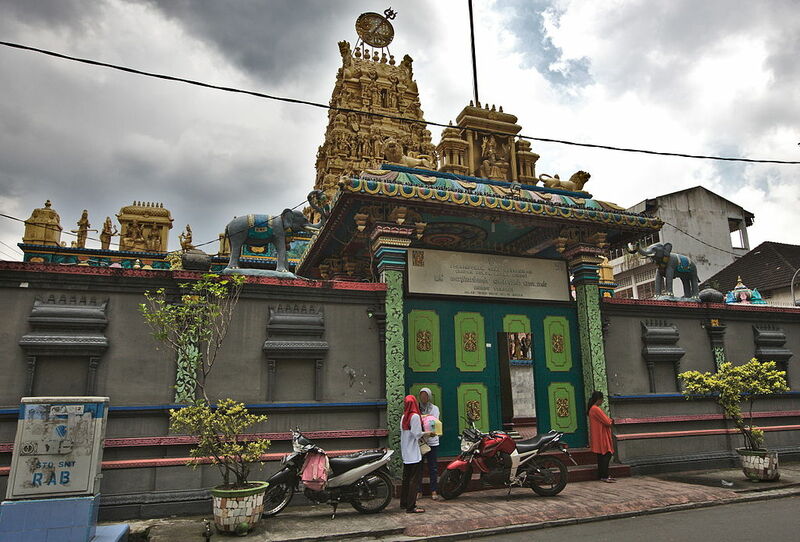 It is the oldest hindu temple in Medan and located in the Kampung Madras area, known as the Little India of Medan. Visiting this iconic place is definitely one of the top things to do in Medan for tourists of all backgrounds and beliefs. This majestic temple is the largest non-historical Buddhist temple in Indonesia. Situated within the housing estate of Cemara Asli, it’s fondly called Vihara Cemara Asli by the locals. The temple sits on a large 4.5 hectares piece of land. 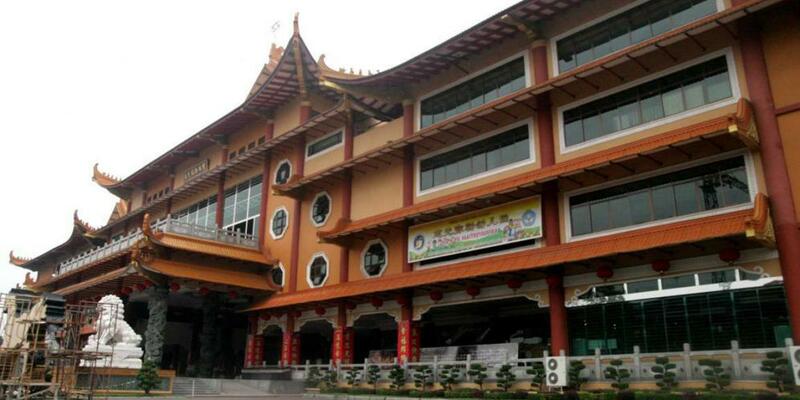 Therefore, this place of worship is also one of the top places to visit in Medan. We are the top and most established Medan Travel Agency. As a Medan specialist, our company focuses solely on providing tour and transportation services for travellers coming to Medan and North Sumatra. © 2018 Medan Wonderful Holidays. MedanTravelAgency.com. All Rights Reserved.